Arsenal supposedly have no chance of hiring Borussia Dortmund manager Jurgen Klopp to replace Arsene Wenger, with claims that the German tactician would only want to manage in England at either Liverpool or Manchester United. The 52-year-old is set to quit Dortmund at the end of this season after years of success with the club, though they have struggled in his final campaign after numorous unfortunate player exits. Still, Klopp remains one of the most highly regarded coaches in the game and will not be short of suitors when he does leave, with Arsenal mentioned as a team likely to be in search of a new manager. However, sources in The Sun have now poured cold water on that move, with friends of Klopp seemingly thinking he would much rather manage either Liverpool or United if he made the move to the Premier League. 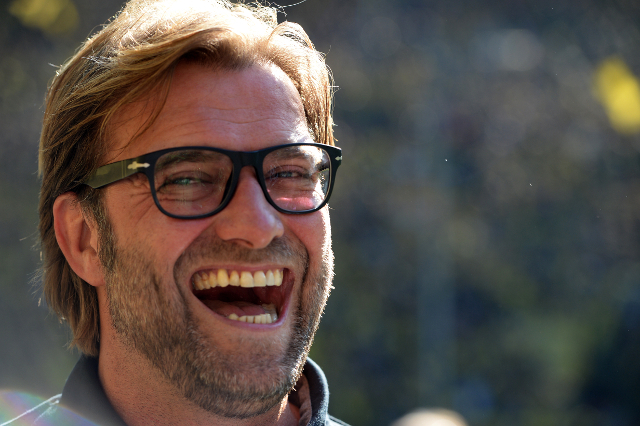 Speaking about Klopp’s future, a source said: “Arsenal don’t have a chance. His dream is United. Liverpool too. Madrid is different.